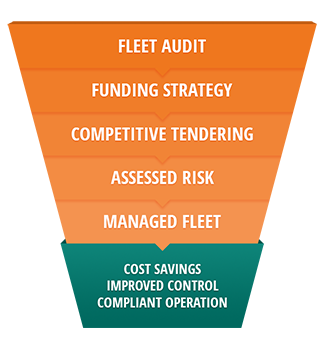 It really doesn't matter how large your fleet is - one vehicle or 100 vehicles - if you really want to minimise your costs, improve your control and achieve a well-managed and compliant operation, you will need to give careful consideration to your decisions. If any of these sound strangely familiar to you, or if you take more of an ad-hoc approach to sourcing and running your vehicles, or if you'd simply like more help, then why not give us a call - we will likely save you time and money. Helping clients to balance the often 'emotive' aspects of sourcing their vehicles with the practical considerations of how they fund their choices, minimise costs, respond to environmental challenges and stay legally compliant is where we excel. Since 1997, Allied Vehicle Contracts has supplied thousands of managed lease vehicles to thousands of business users right across the UK, providing a consultative service - which remains free from any charge structure - and an online fleet management platform that amounts to the same as having your very own Fleet Manager on hand 24/7, but without the salary costs. If you would like to consider a more effective way of running your vehicles then call us now on 0800 0288323. Even the best run fleets have room for improvement. We begin every relationship by carrying out our free Fact Find and Supply Audit detailing all aspects of your current fleet. 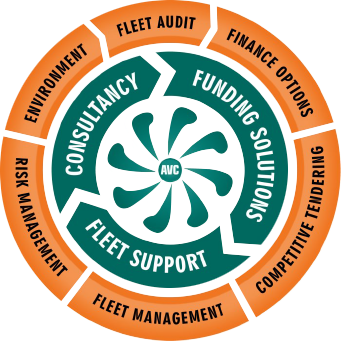 We combine our independent advice with access to an extensive range of funding products to offer fleet solutions that are impartial, optimised for purpose and competitive. We have formal relationships with the leading FN50 funders Alphabet GB, Arval UK, Lex Autolease and Network (Leaseplan). We can therefore offer you access to a wide spectrum of funding solutions from the most competitive funders in the UK, managing the tendering and comparison process on your behalf. By carefully managing the vehicle selection process across a trusted panel of contract providers, our clients achieve considerable savings without compromising on quality. By helping you to optimise your fleet management platform while minimising the need for management intervention, we will help you to add structure to your fleet function. 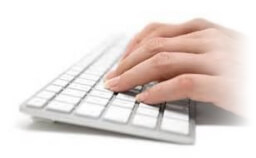 Providing you with consultant support and an on-line solution you will have access the right decision making information, whenever and wherever you need it - key contract date reminders, service schedules, performance information, cost commitments and driver p11d information. Reducing risk and ensuring compliance. We can help you adopt a best practice approach to a risk-managed fleet - protecting drivers and management, while safeguarding the public. Balancing ethical goals and corporate realities. A progressive fleet policy will take account of changing technology and a company's obligations to it's environment. This may be influenced by ethical ambitions and end customer performance demands.